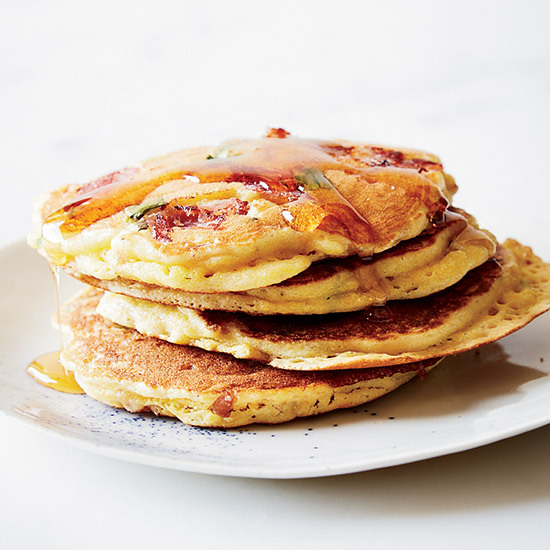 Quick and easy breakfast recipes for busy mornings, from creamy scrambled eggs to recipes for the perfect grab-and-go breakfast pastries. Simple to put together, these burritos make the perfect breakfast on-the-go. For a heartier meal, add grated cheddar or crumbled goat cheese. 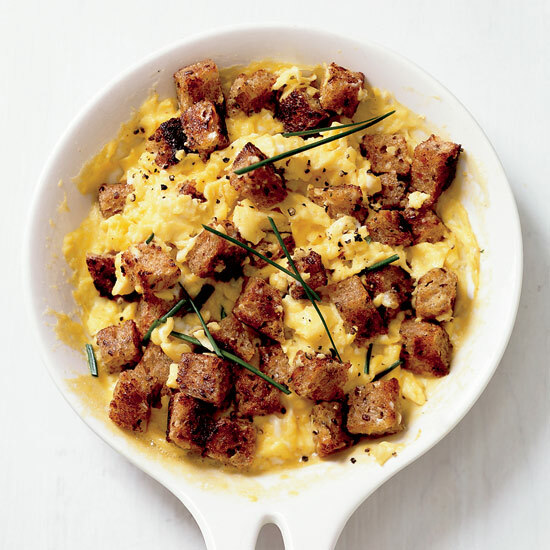 Grace Parisi creates a witty take on a breakfast staple by stirring delicious herbed croutons right into her soft, creamy scrambled eggs—eliminating the need for a side of toast. 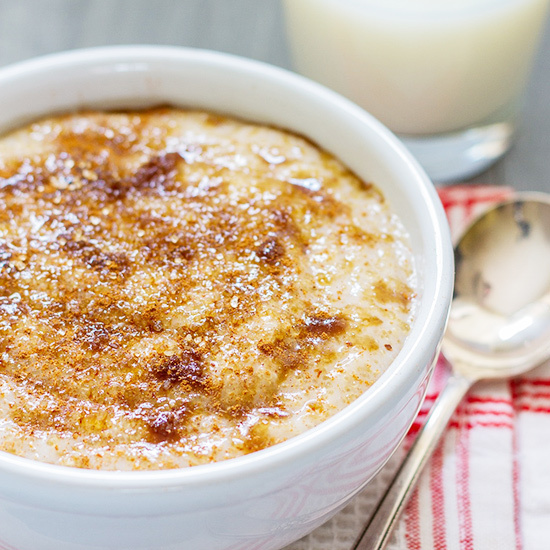 This sweet, gluten-free amaranth breakfast porridge is classically flavored with cinnamon and sugar. F&W’s Kay Chun likes making these savory muffins for breakfast instead of the more typical sweet muffin. 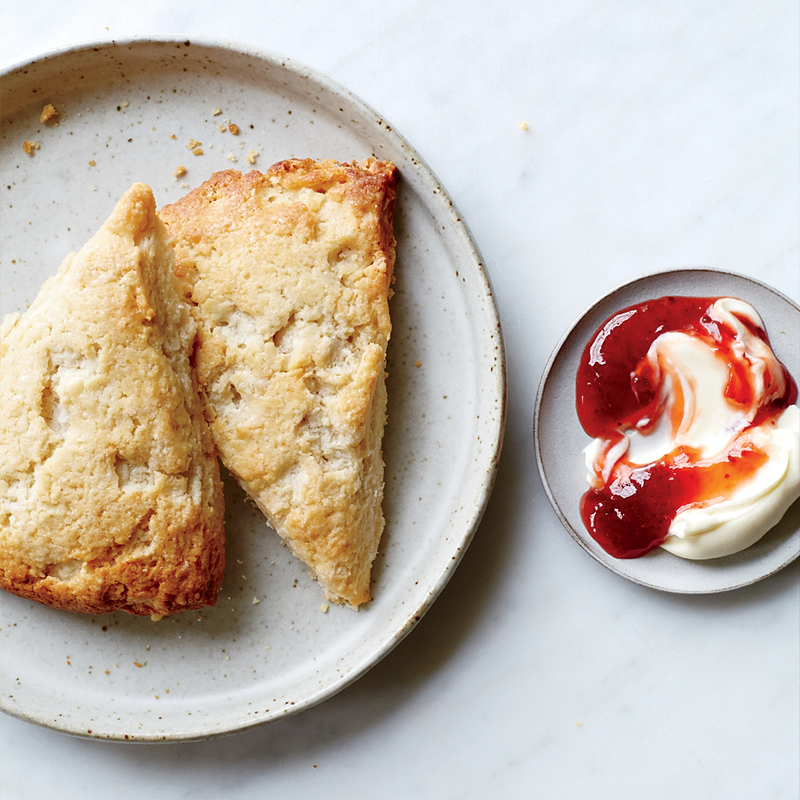 F&W's Kay Chun serves these easy, scone-like biscuits with fresh fruit and whipped cream. 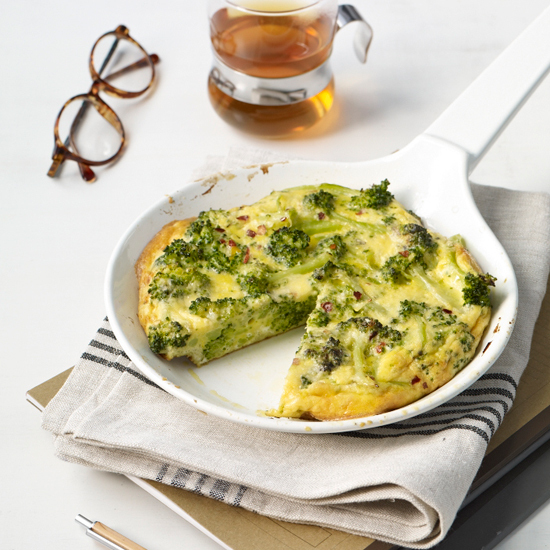 This simple, garlicky frittata is easy to make and works just as well as breakfast, brunch, or a light lunch. 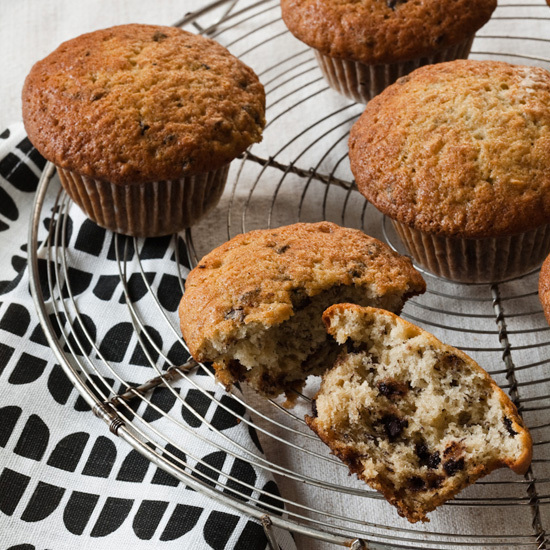 Like banana bread, these especially moist chocolate chip muffins are a great way to use up overripe bananas. Muffins are an easy baking project because there's very little prep; this batter comes together in just 15 minutes. To add extra protein and delicious crunch, chopped toasted pecans would be delicious in them, too. 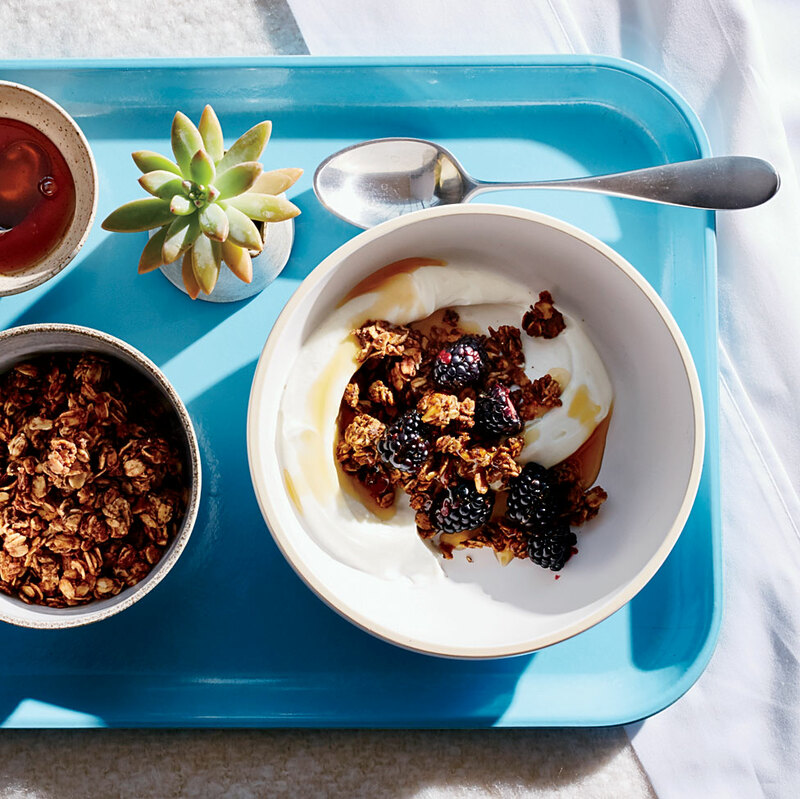 At Alma in West Hollywood, California, chef Ari Taymor cleverly combines morning oats with coffee. The result is a crunchy, sweet-savory mix that’s perfect with yogurt or ice cream, or even just eaten by the handful.